McNary wrestling coach Jason Ebbs went into the Jerry Lane Invitational not worried about how many matches his team would win. He just wanted the tenacity he’s seen in practice translate to a match. Ebbs got that and more as the Celtics finished 2-1 to place third in the eight-team tournament on Friday, Dec. 1 at McNary High School. McNary opened the tournament by defeating Tigard 43-32. After falling to Roseburg, the eventual tournament champions, the Celtics edged Milwaukie 44-35 for third. Senior Brayden Ebbs and junior Enrique Vincent both went 3-0. Ebbs, who had two pins to go with a major decision, felt comfortable jumping up to 170 pounds. In between two pins, Vincent had to come from behind to defeat Roseburg senior Thomas Spence 7-5. Getting called for two illegal slams, Vincent trailed 3-5 going into the third period. Vincent said he just had to keep his composure. At 106 pounds, McNary freshman Grady Burrows went 2-1, earning a 16-12 devision to open the tournament and finishing it with a pin in the first period. Noah Grunberg (145), Garrett Wampler (182) and Randal Nordberg (195) all went 2-1 as well, each getting a win by forfeit. At 220 pounds, sophomore Anthony Garcia Reyes earned a pin in his first match before dropping the next two. 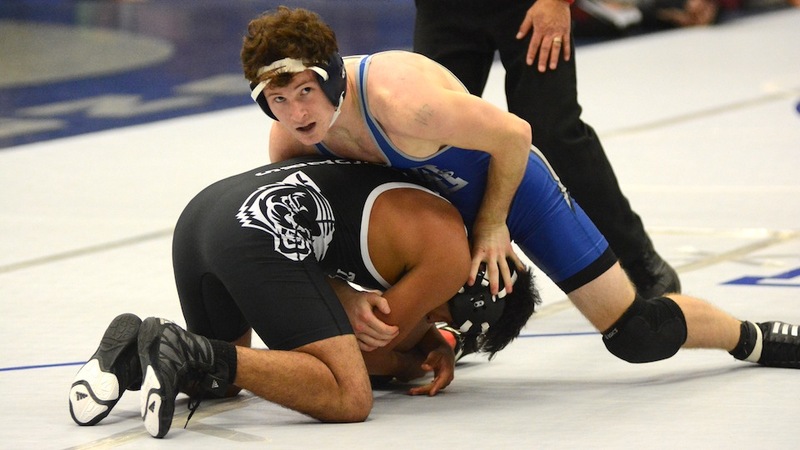 McNary hosts its first Greater Valley Conference dual on Thursday, Dec. 7 against McMinnville at 7 p.m. and then travels to Silverton for a tournament on Saturday, Dec. 9. Preparation for the Big One was one of the topics of a special Salem-Keizer School Board meeting Tuesday. Most of the school district buildings were built before many people knew what they do now about the Cascadia Subduction Zone, where an earthquake of 9.0 magnitude is expected this century. Retrofitting the buildings, to allow for at least safe escape from them, is one of the reasons for the bond proposal that will be on the May 2018 ballot. Michael Wolfe, chief operating officer of the district, reviewed a study by MSC Engineers, Inc., of Salem, the latest of several seismic evaluations performed for the district. The process began with a 2005 assessment by the Oregon Department of Geology and Mineral Industries. The engineers, Wolfe told the board, used the rapid visual screening (RVS) method initiated by the Federal Emergency Management Agency. The method evaluates seismic level, building structure type, building irregularities, era of construction, and soil type to establish seismic hazard scores of buildings. The study assigned RVS scores to all the school structures in the district, breaking them down into five tiers of collapse potential: very high for egress (exit) only, very high for life safety, high for life safety, moderate, and low. It estimated construction costs without including such costs as contractor overhead, insurance, and project management fees, and it recommended that for strategic planning purposes, the district add 40 percent to the engineers’ numbers. It did not project costs for moderate and low risk. Total estimated costs are $56,986,191 for “very high” egress only, $69,097,278 for “very high” life safety, and $92, 014,000 for “high” life safety. District staff has recommended “very high” egress only as the only financially feasible way to prepare for the earthquake, Wolfe said. Following are the current collapse potential estimates for school buildings in the McNary High School attendance area. • McNary: three buildings rated very high, two moderate. • Claggett Creek Middle School: no ratings at this writing; three low in 2016. • Whiteaker Middle School: four high, one moderate. • Clear Lake Middle School: three high. • Weddle Elementary School: no ratings at this writing; three low in 2016. • Cummings Elementary School: three very high, one high, two moderate. • Gubser Elementary School: two high, one moderate. • Keizer Elementary School: two high. • Kennedy Elementary School: two very high, five high. Another issue discussed was possible relocation of special education classrooms. Eric Richards, district director of student services, noted that 27 percent of the special education students in the district are attending classes away from their neighborhoods. He said this has caused financial and transportation problems and discouraged those who have special needs from participating in school activities. Director Kathy Goss said the quality of education should be the first consideration. Paul Dakopolos, district council, was asked what legal issues could be raised and said federal regulations give districts considerable leeway over locations of programs. The board did not reach an agreement on the matter.